When you are in an area you really don’t know, TripAdvisor is always your trusted source on where to go. The Kentucky Saloon Steakhouse was among the top 2 at the time in Pratteln. Well, time to give it a try. After calling three times and noone picked up but it said it was open on the webpage, I decided to just give it a shot and go there. You’re welcomed and seated swiftly. A waitress shows up and takes your order – and then the waiting begins! It took them about 15 minutes to bring the beer – the bottle of water arrived swiftly but the beer took 15 minutes! It should be rather easy to ‘produce’ a glass of beer, right? One would assume. Nope – even after walking up to the counter again and asking, it took them another 5 minutes. Excuse me? 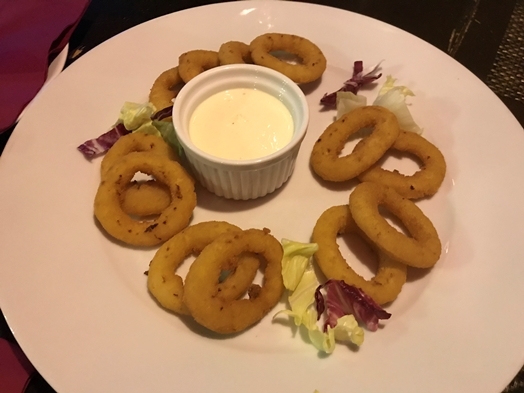 Finally, the starter arrived – “onion rings with garlic dip” (CHF 11.50) which were fine. 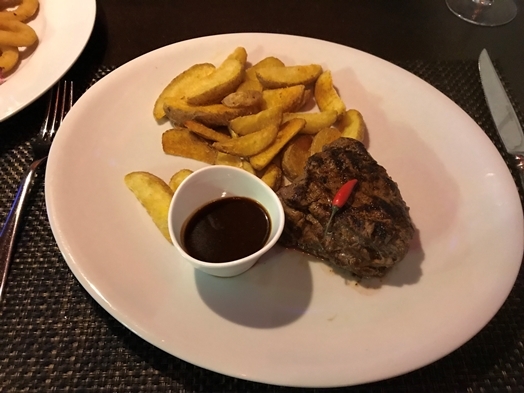 The “black Angus tenderloin, US Prime, 8oz – medium-rare” (CHF 67.50) is definitely on the pricey side for the size – but at least the quality was great. The meat is super tender and very rich in terms of flavour. Something I had not expected. Especially since the experience up to that moment in time was not a great one at all. But at least it is worth to visit the place for the meat. 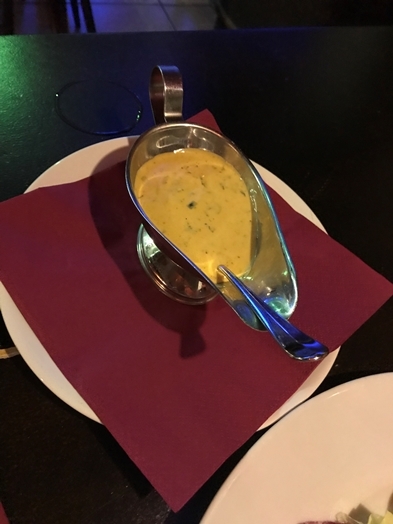 The “sauce Béarnaise” is rather thick but fits perfectly with the meat and the potatoes. 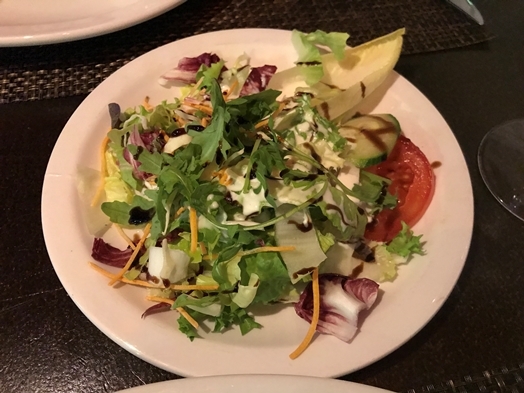 And there is even a small salad which is served with the main – all in all, it is quite a portion but the food is okay. All in all, one can definitely visit the Restaurant Kentucky Saloon Steakhouse – but it is definitely not a must. Rather drive to Basel or cross the border over to Germany. You might get the same for a much smaller price and I’m pretty sure the service will be better too.